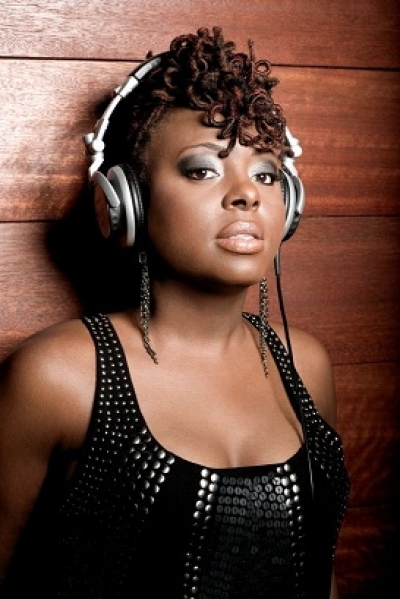 Ledisi tells the haters to "Shut Up"
Just a few weeks after dropping the debut single "Pieces of Me" from her 5th studio album of the same name, Ledisi delivers an uptempo track telling the haters to "Shut Up". In "Pieces of Me" Ledisi explains the different sides of a woman: the strong woman, the woman in pain, and the complicated woman that will love you to the end. And the follow up single is telling those that don't understand the make up of a real woman what they can do, "Shut Up". Both songs are in rotation on MO'Betta Music Radio. Pieces of Me is due in stores on June 14th but you can click here to preorder via Amazon. 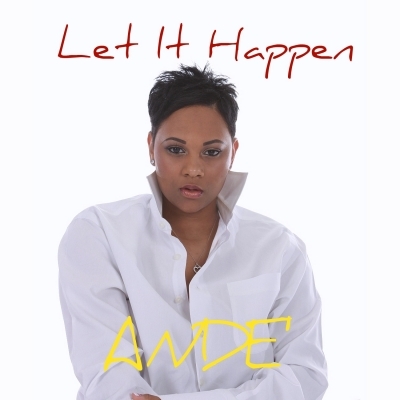 ANDE' wants to "Let It Happen"
Andrea Lawrence, or 'ANDE’, to all who warmly know her, has made it her personal goal to revive the neo-soul music world with her sultry-rich vocals and piercing lyrics. With no “formal” voice training behind her, this Dallas, Texas native’s raw talent displays vocal control and range uncommon for most vocalists to date. Her distinct and unique style derives from many musical influences and genres from her roots in Gospel, to Jazz, to R&B to her now current Neo-Soul platform. Her soul stirring music speaks across generations with smooth, sultry sounds reminiscent of Nancy Wilson synthesized with the poetic styling of Jill Scott. “I believe true music pierces the heart and as I sing, I want to make sure that I''m able to speak to someone''s soul,” ANDE' explains. Click below to hear a snippet of "I Woke Up". You can hear her single "Let It Happen" in rotation on MO'Betta Music Radio. Mocha Soul Entertainment is making sure Columbus knows neo soul is far from dead. 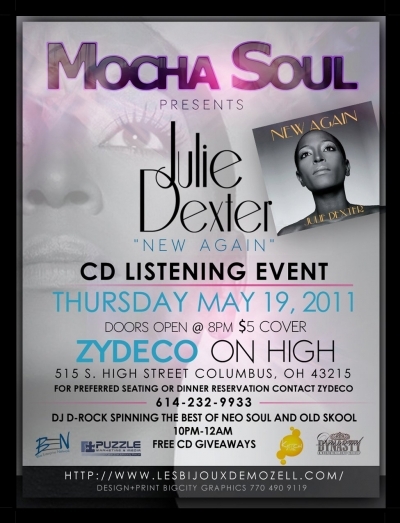 Up next is a CD listening party for the new Julie Dexter album ''New Again'' which is now in stores. You can click here to purchase ''New Again'' on amazon.com. Check out the flyer above for more details on this event. "Beautiful" is in rotation on MO'Betta Music Radio. "Lovely Day" is the first single off the Hidden Beach release, Just Before Dawn - Jill Scott From the Vault Vol. 1. Due Spring 2011. This is her last album with Hidden Beach as the two have parted ways after being in court for about a year. She's not really promoting this release however it's hard not to want to hear some new Jill Scott music.